We want to make sure that you have the best time ever when you visit the ranch, so we've put together a list of our favorite tips and tricks to help you make the most out of your visit. Get ready to have some fun, folks! First things first, take a look at our weekend events calendar and pick a weekend that interests you. Each weekend has a different theme, along with special guests and performances. Dress accordingly! Ya’ll know October in the Midwest - it's a fickle month. It can be hot to trot or chilly chilly (all in the same day too!). The weather can be pretty unpredictable, so it is best to dress accordingly. If it is by chance one of those typical fall days, it is best to dress in layers. That way if you get warm doing all of the activities, you can just take off your sweater or jacket. Also, wear comfortable, close-toed shoes. While there are sidewalks leading to almost every activity, it is best to wear shoes that get along good on all turf. Come hungry! One of the things that we pride ourselves the most in is our DELICIOUS BBQ. Enjoy your meal in our banquet barn, out under the pavilion, or in the shade at one of our picnic benches. We've got something for everyone - just take a look at our menu! Get that camera ready! The pumpkin farm is the perfect place for a photo op. Make sure that you camera or iPhone is fully charged and ready to go so you don’t miss a shot. It's even a good idea to pack that extra battery just in case. Got little walkers? Feel free to bring in your stroller or wagon. The ranch is equipped with sidewalks that lead to each activity that make it very accessible. Make sure you allow enough time to do everything. In addition to our attractions, we also have special performances on the weekends. Be sure to give yourself at least a few hours to enjoy the amenities, catch the shows, and grab something to eat. Got allergies? The farm is full of animals, hay, and grass. All fun things until you add allergies into the mix, so be sure to plan accordingly and take medicine beforehand if needed. Check out our coupons and special deals! Pick up a copy of KC Parent Magazine or visit their site for a special discount code. We also offer special deals on certain weekends, i.e. Grandparents Weekend (October 6 & 7) - Grandparents receive 1/2 off admission with the purchase of a grandchild's admission. Start a tradition! One of the things that we love the most about the pumpkin farm is seeing the same families each year and watching them grow. 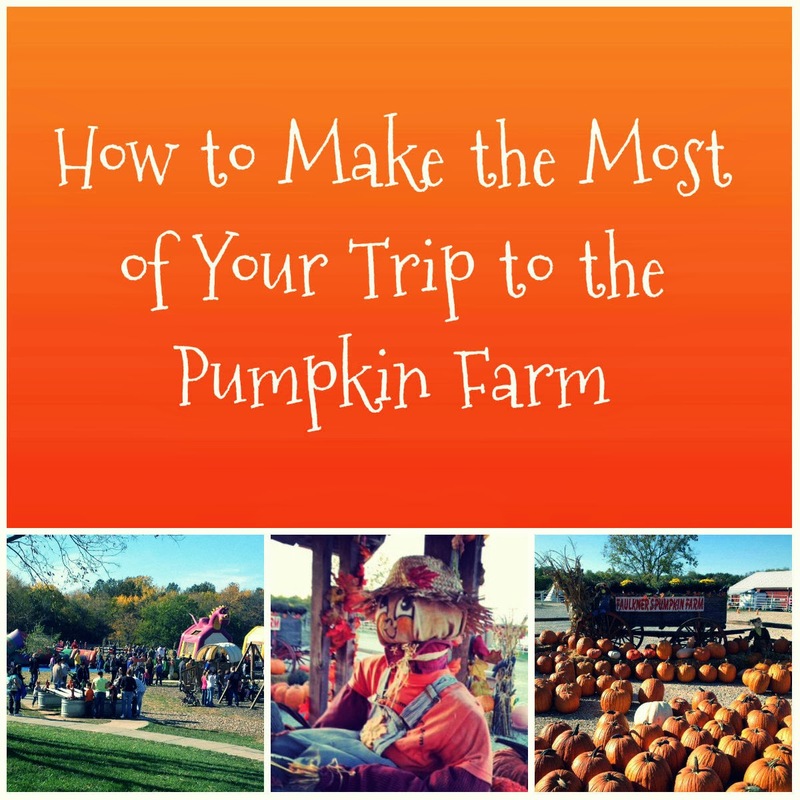 If this is your first trip to the pumpkin farm, or even if it isn't, pick something that you can do each time you come back. Maybe it is taking a picture in a certain place or finding the biggest pumpkin. 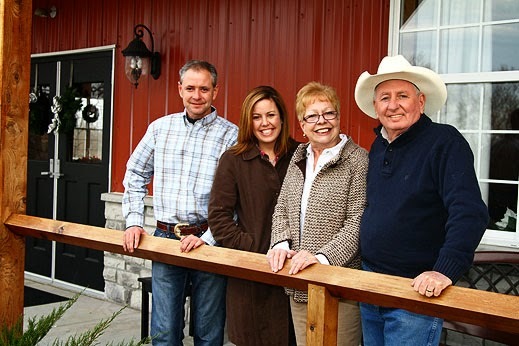 Traditions lead to wonderful memories and that is what Faulkner's Ranch is all about! Hopefully these tips and tricks will help you make the most of your visit! We can't wait to see you out on the farm! Have a great day, ya'll! Welcome to our little corner of the world wide web where we share our favorite party planning tips, event ideas, ranch happenings, and more. So, please, sit down, kick your boots up, grab some red hot apple cider, and take a look around. For more information on all that Faulkner's Ranch has to offer, please visit our website! We are glad to have you here! Like what you see? Then follow us by e-mail! Happy Blogiversary + Pumpkin Season Kickoff! Ranch Entertainment. Simple theme. Theme images by andynwt. Powered by Blogger.